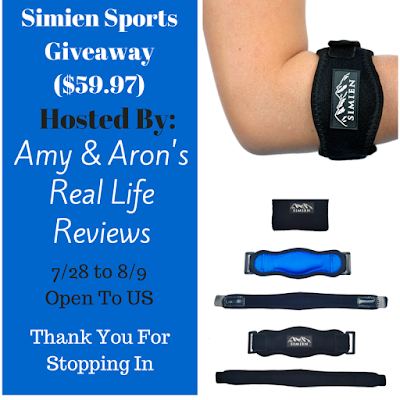 The Elbow Braces by Simien Sports is so awesome to have and is perfect for so many reasons. I am a blogger that doesn't seem very active but I know I get cramps in my arms and aches and pains that are from keeping my elbow bent for so long every day. This has a super soft surface that goes on my skin so there is no chaffing or pinching on my skin. The velcro is strong and stays secure. I love the support it gives and how easy it is to use. I can put it on without help. This is a great product. I received it for free in exchange of an honest unbiased review. Now for the fun part. Who wants one? I am running a giveaway on one of these. Please remember that there are options for bonus entries for sharing this giveaway with your friends and family. Blogger Opp ~ Join us in celebrating Heart of a Philanthropist's Two Year Birthday Bash (Free & Paid Options Available) #HoaP is turning two and YOU could be the one to get the presents! 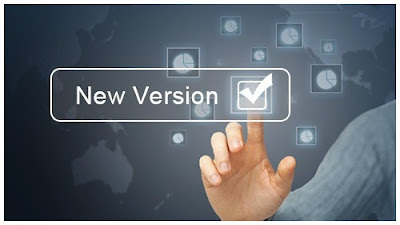 (ARV TBD) Join us for a big celebration!Receive one free link just for posting the announcement post on your blog or in your blog's email list. Receive a second link for sharing the giveaway three times a week on social media, or four links when you share four times a week on social media. Why not try this and get paid to tweet??!!! It works, I have made pretty good money doing this. And I'm looking forward to getting back into it and making some more! It's not a huge amount but, it can add up fast for your Christmas fund or other holiday or birthday funds that you might want to put back and save for, so why not try?? Its Free!! So come on, click on the button and give it a try! FREE Link # 1 (Twitteer Only) FREE Link # 2 (Facebook Visits, Instagram or Pinterest Only) - with the announcement post The Blogger With The Most Referrals will Receive a FREE Co-Host Spot. Co-Host spots are avaible. See more details in sign-up form. Hey there everyone, do you need a new mattress?? Or know someone that does? I know that I could sure use one right about now!! 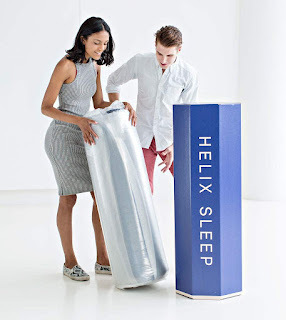 So why don't you check this out Helix Sleep and you might just find yourself a new mattress for sharing! I love this pic above, and its so true!! 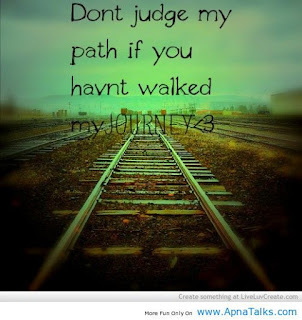 Don't try to judge others when you have absolutely no real clue what they have come across in the path of life! So this is about myself and 2 of my boys starting our own new adventure. We've moved to a different city, have our own place now and doing good.